I see Barangay Fortune as the first and only LGU who shares its advocacy on environmental protection thru Ecobricking with its communities. 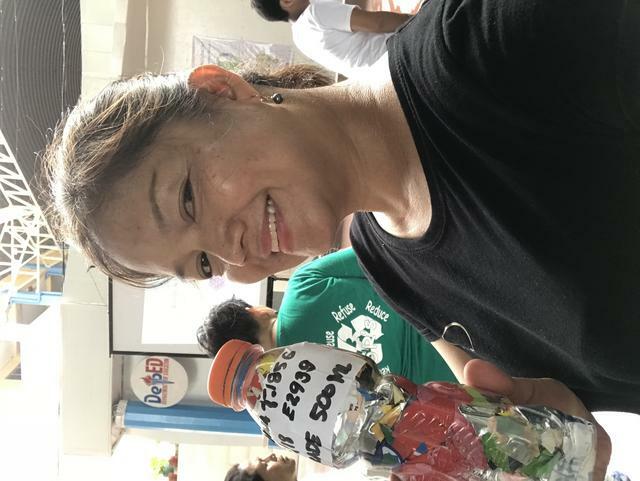 The community of Barangay Fortune and Rizalina Teope are making ecobricks to go zero waste and build cool stuff. Rizalina used a 500ml Gatorade bottle to pack 185 g of community plastic to make her number 2 ecobrick. Based in the city of Marikina, Metro Manila they are working hard to keep plastic out of the local biosphere in Philippines. Her ecobrick has a density of 0.37g/ml. Great job Rizalina! Rizalina logged this ecobrick with serial number E2939 on GoBrik. View the Ecobrick’s full data on GoBrik. You can also view this ecobrick on the Live GoBrik Flow. This is an automatic post made right after Rizalina logged her ecobrick, with Serial No.E2939, on the GoBrik App on 06/15/2018. View the Ecobrick’s full data on GoBrik.